My studio is set up mainly to record vocals, acoustic and electric instruments and keyboards. When recording a live band or drums, I'll usually book into Whitewood Studios in Liverpool - www.whitewoodrecordingstudio.com - which has a great vibe, experienced and helpful engineers and isn't too expensive. 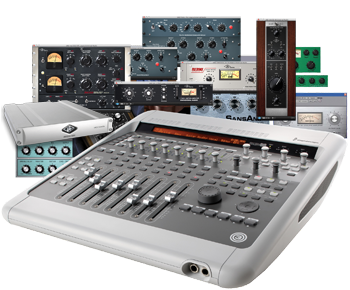 Pro Tools sessions recorded there are easily transferable both ways and they have a wealth of excellent processors and microphones for recording and for the final mixdown if budget allows.